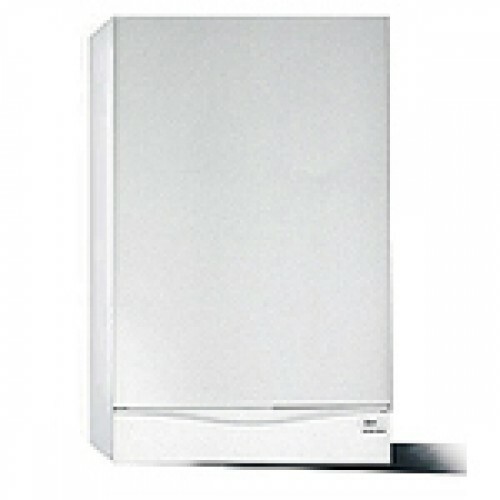 Price Includes : Boiler, 24 Hour Mechanical Timer And Standard Horizontal Flue Kit. The Main Combi Eco range is designed to meet the domestic hot water and central heating needs of a variety of properties. As one of our very first A-rated products, the Main Combi Eco boiler offers impressive performance, energy conversion and conservation, resulting in improved efficiency and lower gas bills. The clean, uncomplicated design features flexible fittings, user-friendly controls and display panels. Its simplicity enables straightforward service and maintenance. High Efficiency SEDBUK Band A. Pre-plumbing jig included as standard. Low NOx Emissions – class 5. Compatible with flue options up to 20m. o compartment ventilation required. Integral frost protection. Grundfos pump on all models. User friendly controls. Upward piping. Made in the UK to ISO 9000 quality standard. Baxi 5 Year Manufacturers Warranty.